Falling down from spinal stenosis is a common occurrence in patients who demonstrate very severe forms of central canal impingement and subsequent spinal cord compression. It really does not matter where in the spine the stenosis exists, since any location of significant canal narrowing can cause the patient to lose the ability to stand or walk. Falling is a natural consequence for patients who persist in trying to ambulate independently, despite extreme stenotic changes. This essay provides some helpful details for patients who can not walk or stand without the fear of tripping and falling down. We will explain why the legs become so weak and incapable in advanced stenosis circumstances and how the condition can be successfully treated. Significant central canal stenosis will have a very good chance of constricting the spinal cord or cauda equina. If this occurs, the normal healthy nerve signals will not be able to be successfully transmitted from the brain to the lower body.When innervation problems occur in the legs, the muscles grow clumsy, fatigued, numb and weak, creating the symptomatic expression suffered by so many patients. 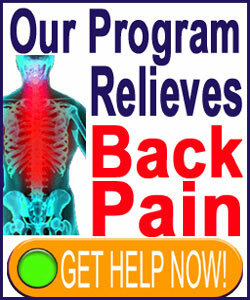 These people can not stand up comfortably, or for long, and many can not walk or move about easily. While most patients associate these changes with lumbar spinal stenosis, they can actually also be enacted by thoracic stenosis or even cervical stenosis in just as many cases. First off, common sense dictates that despite pride or perceived necessity, patients who can not stand or walk should not do so, especially when unsupervised. Persisting in trying to do what amounts to a physically impossible task is the perfect circumstance for personal injury to occur. If patients need to get up and move about, they should always have help and proper safety precautions should be in place. This may include wearing safety padding or protective gear, or simply trying to stand or walk in a cleared out and soft area. It is very common for patients who are so greatly functionally-impaired to also suffer a variety of other serious symptoms, including sexual dysfunction and incontinence. When patients reach a stage where they truly can not function at all and are having to alter their lifestyle to such a restrictive degree, then drastic treatment is usually both necessary and available. Falling down is the last thing a patient needs. Unfortunately, it is a very common occurrence, especially in the elderly, and can spell dire consequences. 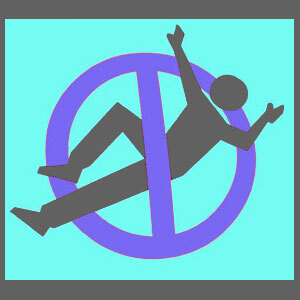 A serious fall can fracture bones, cause general trauma and even damage the spine. In cases where a patient has such terrible functional issues, dramatic interventions will usually be discussed. Spinal stenosis surgery is usually recommended, and depending on the accuracy of the diagnosis and the particulars of the causative condition, may be successful in resolving some or all of the symptoms. While I am not generally an advocate of surgical treatment of back or neck pain, cases such as those profiled in this article are certainly exceptions to the rule. Patients who have lost their autonomy, and can not do anything for themselves, require help. In these unfortunate circumstances it is often worth the risk to undergo invasive care in the hopes of regaining a normal and pain-free life once again.